The gardens are situated on the Causeway Coastal Route, within the peninsula of Islandmagee, 2 miles from The Gobbins Cliff Path, with beautiful views over Larne Lough. They have evolved over the past 20 years and extend to 5 acres. The gardens include a series of rooms and include a cottage garden, orchard, vegetable area and herb garden. 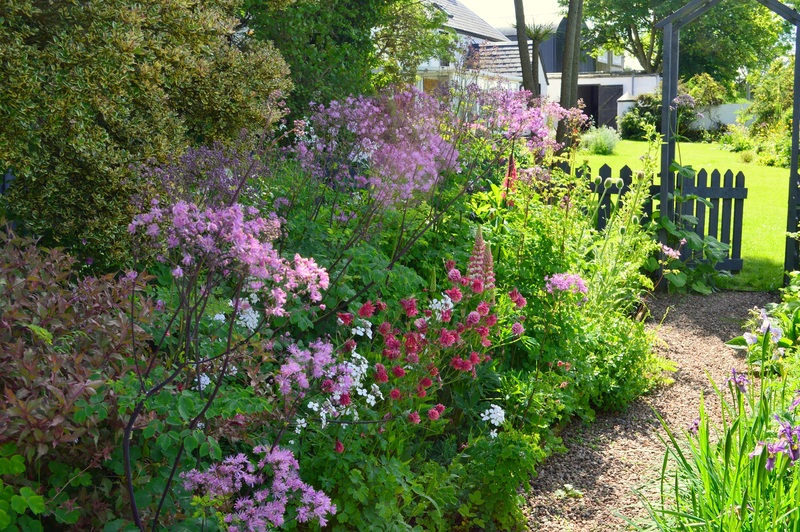 There are also several meadows, established perennial beds, a willow arch, wildlife pond and a recently planted prairie border. The cut flower field includes eight raised beds full of annuals and perennial beds all of which contain plants suitable for cut flower production. We have a varied collection of hardy perennials and a particular passion for old roses, with over 140 different roses (both old and new) throughout the garden. We maintain our gardens organically and therefore let nature takes its course as much as possible – the gardens are full of wildlife: Irish hares, bats and badgers visit frequently, with buzzards, sparrowhawks and kestrals flying overhead and a diverse range of insects throughout the garden. We have planted 10,000 native trees on our surrounding farmland and our Woodland Walk has views towards the Mournes, the Glens of Antrim and Scotland. Plants for Sale are beside the polytunnel – we are expanding our range of plants for sale (all grown by us) for 2018. Our self serve tea room is situated in the barn where you can relax with tea, coffee, traybakes and biscuits. All of our tea, coffee and sugar is Fairtrade and organic where possible and all of our produce is freshly homebaked. Visitors are encouraged to use this facility on a help yourself basis. Prices are displayed for tea, coffee and traybakes. This facility is exclusively for the use of garden visitors. We have a variety of plants for sale at the garden, mainly hardy perennials, herbs and some wildflowers. These have all been propagated by ourselves on site and we are hoping to expand our plant sales within the next year. We only sell plants that do well in our climate and that we have found to be thriving in the garden with not much attention. 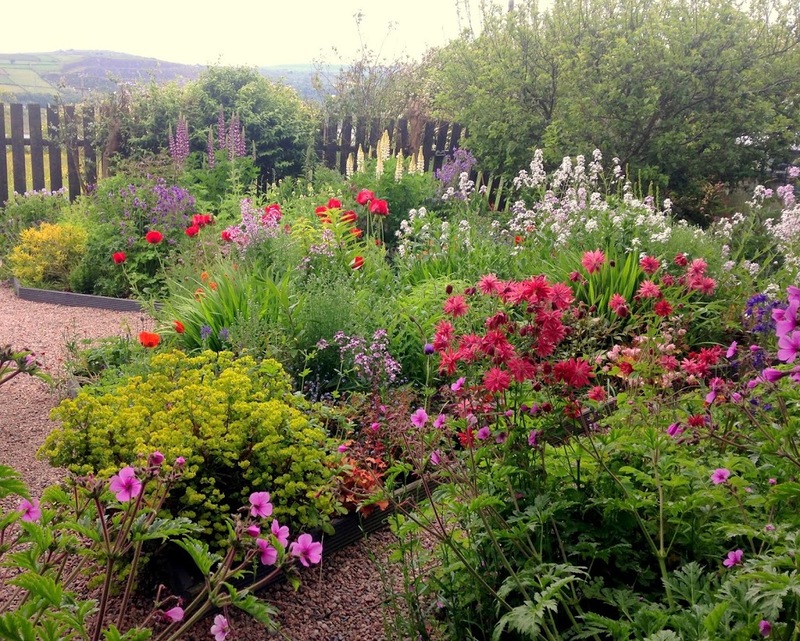 We have a heavy clay soil and our garden is quite exposed to the elements so that these plants should perform well in most Northern Irish gardens but we will be happy to guide you with regard to suitability. We also sell collections of young plants, both annual and perennial, which are suitable for cutting for bouquets, so that you can grow your own little cut flower patch without having to sow lots of seeds when you only want a few plants of each variety. These collections will be available in the Spring.